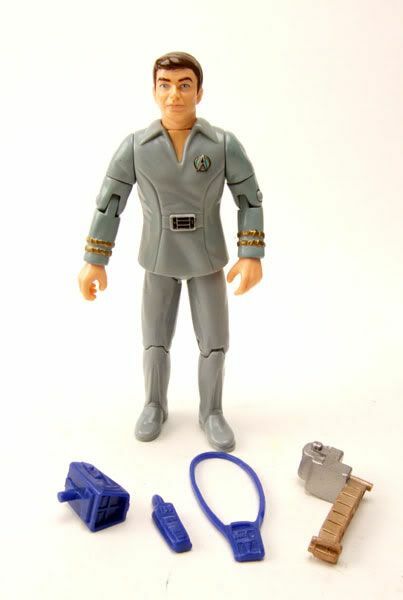 Dr. McCoy was released as part of Playmates' Classic Star Trek Movie Series. 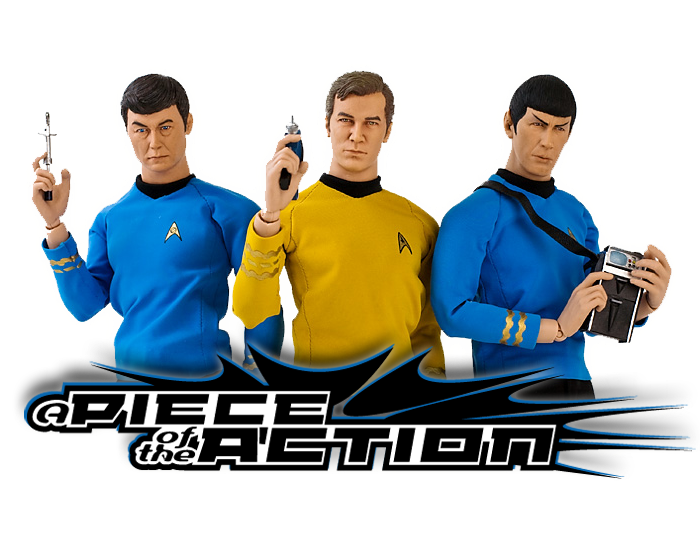 The Rundown: Playmates toys fulfilled alot of the classic fans' wishlists with their Classic Star Trek series. 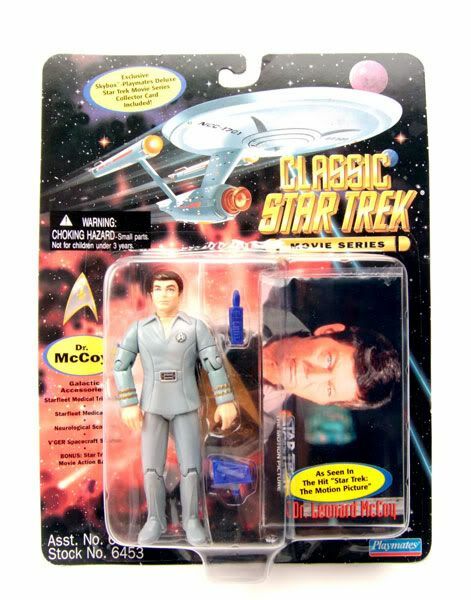 While Playmates never released a carded series devoted to capturing the characters in their looks from the tv series, they did release a series of fan favorites from the movies. 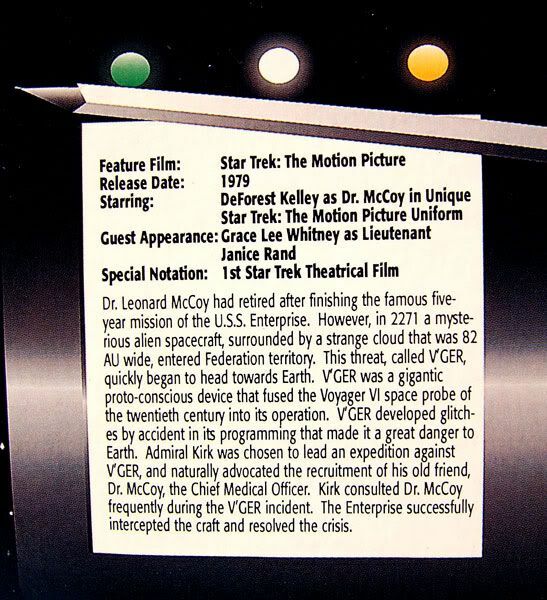 The crew in TMP uniforms, Khan, Chang and others are made into the one solitary assortment on the Classic Star Trek Movie Series card. 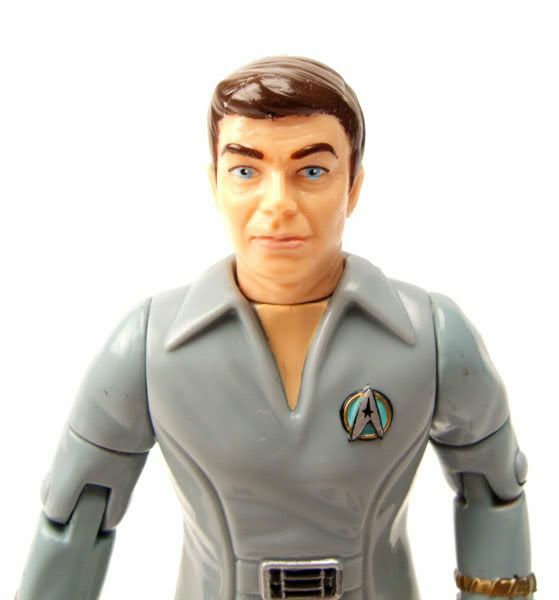 McCoy here is featured in his butterfly collar gray jumpsuit from the film. The sculpt on the outift is nice, and the paint is clean and sharp. The head sculpt is good, but not great. 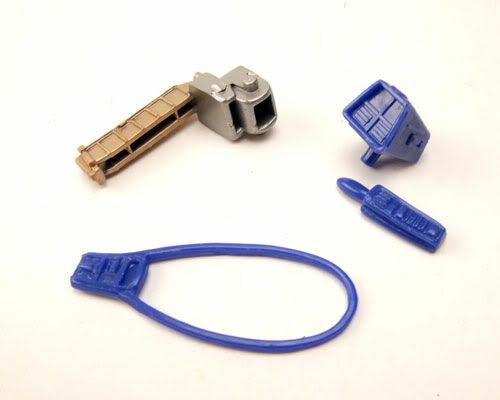 It's not the head that's the problem, it's the neck. It looks just a wee bit too thick. Not really a deal breaker, I just wished they'd gone a little thinner. 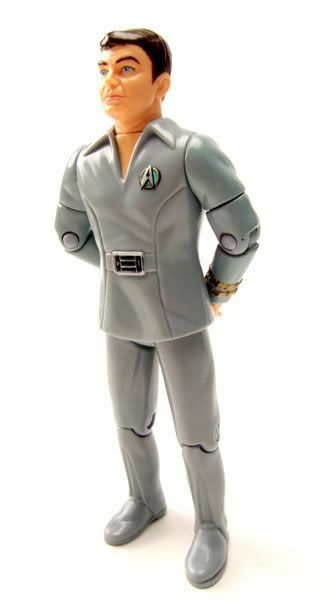 Labels: Dr. McCoy, Playmates, Playmates 4.5"